What to do, what to do? You need your lucky dress. You take it out of the cupboard knowing that, the last time that you looked at it, it had a small nibble by the back split. Something irritating but not too obvious. Gah! It didn’t miraculously heal itself whilst hanging in the wardrobe unworn and worse than that, there are more holes. 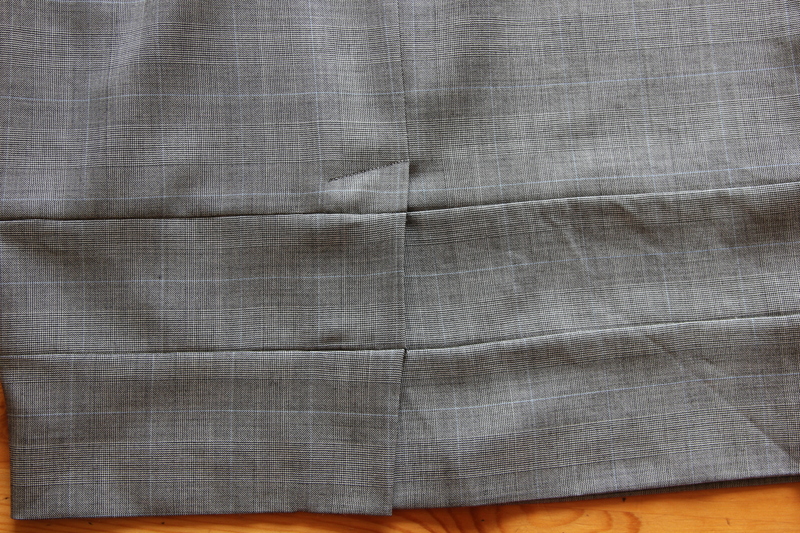 I know that this fabric has a tendency to moiré but I think that you can see the damage? Curses thinks/thought I. But, what did I do? 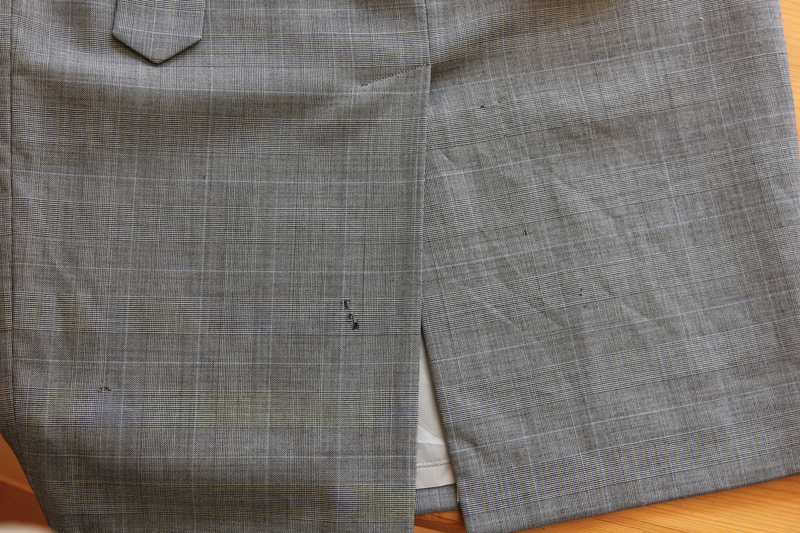 3) The bottom few inches were unscathed meaning that I could retain the very invisible ready-to-wear hem. Would you like to see what it looks like now? Rescued but I don’t know how long she’ll last. 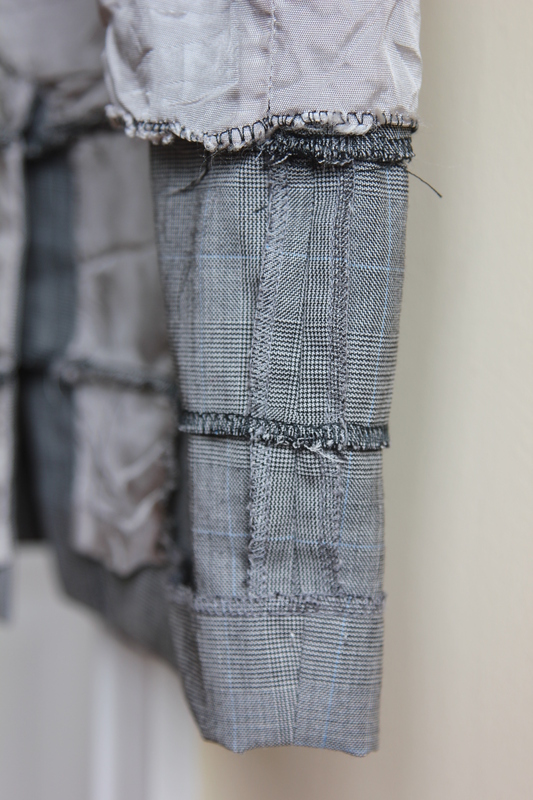 Methinks therefore that an interview-friendly shift needs to go onto the ‘must sew’ list. Any suggestions?! Next Post Up, up, OWOP and away! Those pesky creatures have eaten a number of beautful cashmere sweaters (darned, but detectable), a chiffon scarf, and most recently a pair of tights with wool in them. Good save. 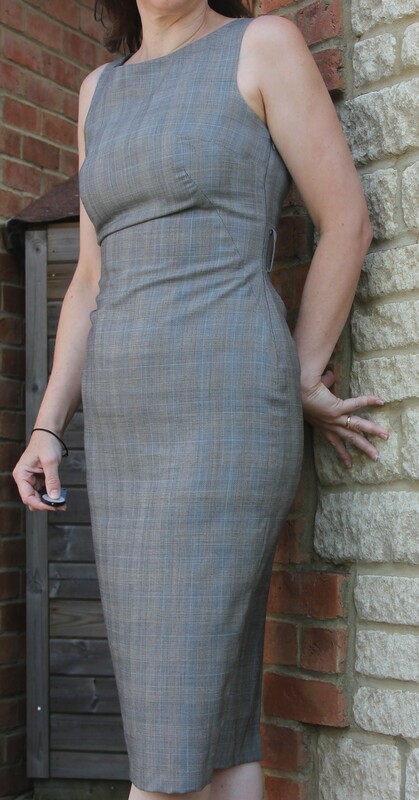 I suggest Butterick B5032 for a replacement. Nice and easy to put together and quite similar to the one you have. It has a waist seam which will allow you to get the close fit you have on the existing dress, and you could make a belt to match. Thanks! And thank you for the pattern suggestion, that’s very close to the original. I quite fancy the little cape too. D’oh! I’ve never had a problem with moths but I know they hate cedar. At least that’s what I’ve read.